The Handmaids of the Holy Child Jesus have been involved in all fields of education right from its foundation, i.e. 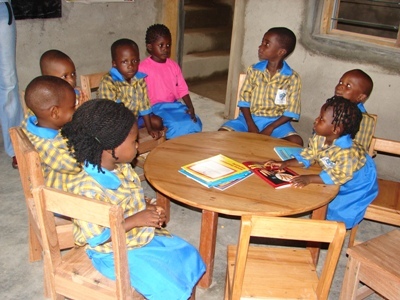 from nursery to university level as well as informal education especially of the less privileged. For this reason, they have built schools in many poor communities and have also been invited to run schools amongst the poor. 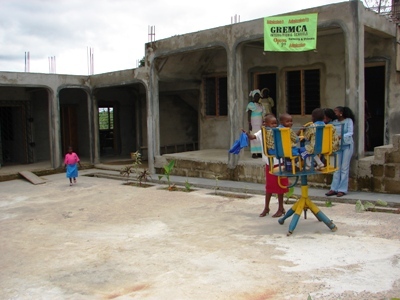 This project, which has received funding from the Nando Peretti Foundation, will finance the purchase of construction materials needed to build a school, and aims at reducing illiteracy through education, in a general effort to reduce the possibility that young people go astray wasting their lives in urban decay and violence. 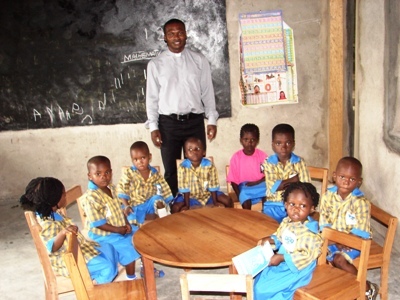 The need for a school in Okuni, a rural village in Nigeria, arises from the fact that children in Okuni, Akam and Okangha villages are unable to read or write today. 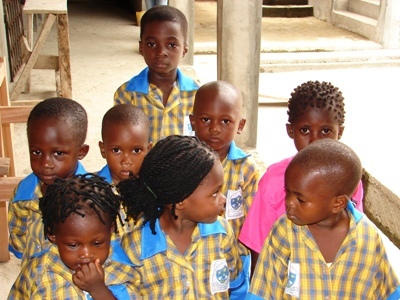 The nearest education facility is 7 kilometers away, thus discouraging them to attend lessons. The only government schools are overcrowded, and there can be up to 100 students in a classroom. Most of these children are now taken to the towns since sometimes their parents cannot afford to maintain them as house help (a sort of child slavery). Worst still, youth in this community are sometimes involved in risky political issues and some of them have lost their lives. Many young girls are put into early motherhood stage. The new school will greatly ease this terrible situation, and will benefit the nearby Akam and Okangha rural villages as well. Students will be able to participate in various activities organised by the government. One of such interesting activities is quiz, debate dramas in which children can express their knowledge and abilities. They will also take part in activities organised on children's day and indipendence day. Activity results and children's achievemnets will be broadcast on a national radio station. The school will provide access to its computer lab to whomever is interested.